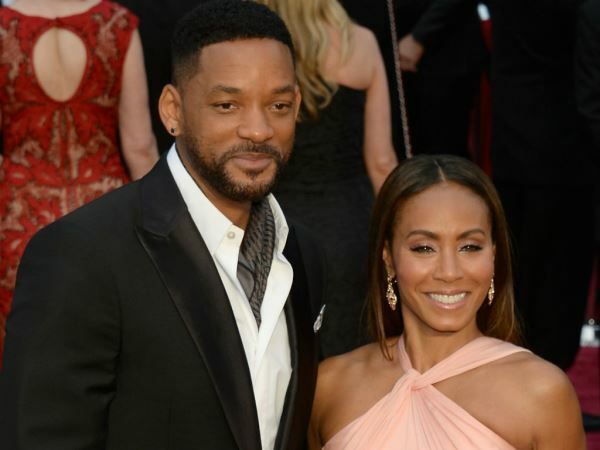 Jada Pinkett Smith thinks it’s important to “trust who you are with”. The Gotham actress has been married to film star Will Smith for 17 years and together they have two children, Jaden and Willow. The 43-year-old has previously described their union as an “open” one, but during a chat with The Howard Stern Show on SiriusXM, she clarified what she meant by the term. “You gotta trust who you're with, and at the end of the day, I'm not here to be anybody's watcher," she explained. "I'm not his watcher. He's a grown man. I trust that the man that Will is is a man of integrity. He’s got all the freedom in the world, and as long as Will can look at himself in the mirror and be OK, I'm good." The couple met on the set of Will’s hit TV show The Fresh Prince of Bel Air. They married in December 1997 when the actress was just 26. And when asked about the prospect of her own children tying the knot at a young age, Jada was clear that she wanted them to wait. “Heck yeah, don't do it," she advised. "Thank God I have a husband who is just a gangster partner because can you imagine taking that road together from 25 to 44? Woo!" While the beauty takes her marriage very seriously, she accepts that her spouse will check out other women - and she’s OK with that. “You've gotta be strong. It takes hard work, Howard,” she said. “[But] If your man can't really see another woman's beauty how the hell is he going to see yours?"